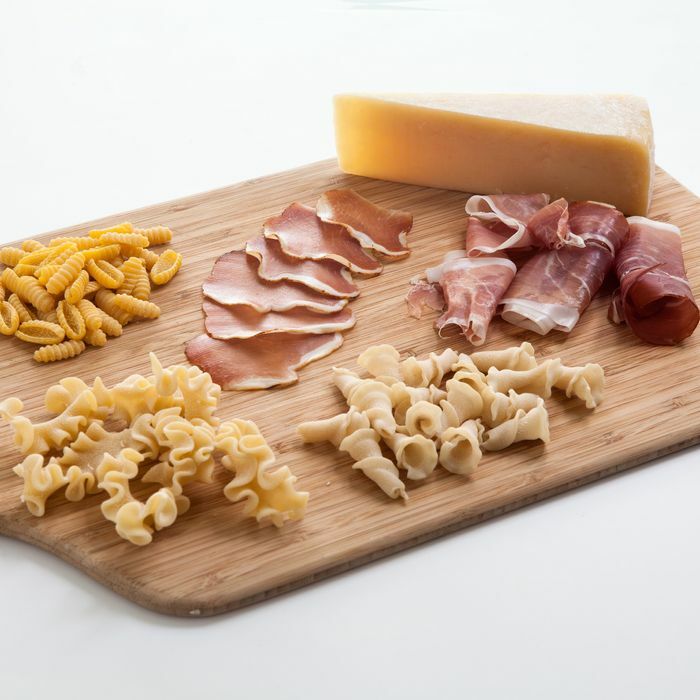 American-made hams, cheeses, pastas, and oils are more popular than ever: The Times got Andrew Carmellini to sing the praises of Iowa-based prosciutto this week, and the Torrisi team famously uses American-made “Italian” ingredients whenever possible. Chalk it up to patriotism and, of course, the noticeable uptick in quality among U.S. charcutiers, cheesemongers, and truffle harvesters (you’ll see) who have all produced standout replicas of classic Spanish, French, and Italian ingredients. Here are a few that you need to know. This is the cheese used in Carbone’s excellent veal Parmesan (and, of course, in the sandwiches at Parm). Sartori’s a fourth-generation family-owned business that started in Wisconsin in 1939. It’s “the most amazing prosciutto I’ve ever seen outside Italy,” says Andrew Carmellini, who serves the ham at Locanda Verde and Lafayette. The Iowa-based company, which prides itself on its sustainable and humane practices, also makes pancetta and salami. As the Times also pointed out recently, Cortez is a small fishing village on Florida’s gulf coast, and it’s where excellent striped gray mullet roe is salt-cured and sun-dried. The caviar tastes great when shaved on pasta, deviled eggs, and salads. It’s not cheap, but a little bit goes a long way. Caciocavallo cheese is semi-hard and creamy, like mozzarella. The pear-shaped cheese originated in southern Italian provinces, but Sam Lovera started making it in Oklahoma as a kid. Now it’s one of the Lovera family’s best-selling cheeses. 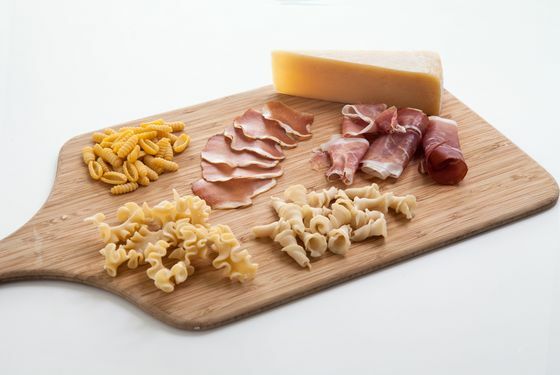 In Brooklyn, this pasta is made in small batches from U.S.-grown semolina flour and air-dried, creating a unique texture. There are classic Italian variations like trumpets and cavatelli, but you can also get everything-bagel-flavored fusilli, because this is New York, after all. This creamy burrata won first prize at the U.S. Championship Cheese Contest. The owner’s great-grandfather started a cheese company in Italy, and now the tradition is continued in Wisconsin. This salami is softer than what you’re probably used to, as it’s made in the style traditionally found in northern Italy. Plus: The thick pork casing is all-natural. The California extra-virgin–olive oil market is competitive, and many consider Owens Creek to be one of the state’s best producers. The company makes one Tuscan blend (fruity Quartetto Classico) and one Sicilian variety (pungent Quartetto Viola). Keystone Farms Natural is a family-run dairy farm in the heart of the country’s cheese capital. Their asiago, a cheese that originated in northern Italy, is made out of 100 percent Wisconsin cow’s milk. In Long Island City, master charcutier Charles Wekselbaum is hand-making artisan sausage and salami. He launched his business two years ago with vegan fig salami, but he now uses pasture-raised pork to make dry-cured sausages and chorizo, and has a stand at Smorgasburg. American-grown Périgord black truffles are a rarity, so it’s no wonder that Daniel Boulud and Jonathan Waxman are big fans. Despite the deceiving name, not all San Marzano tomatoes hail from Italy. Chances are you may have bought these thinking they were the European original, but these tart, bright-red tomatoes are actually from California. Owner Ben Jacobsen, a former software marketing executive, taught himself how to hand-harvest salt from Netarts Bay on the Oregon coast. It started off as a hobby, but now he sells to April Bloomfield. It takes him about 45 hours to make salt that rivals the finest fleur de sel. Armandino Batali — yes, Mario’s dad — is the co-founder of this artisan meat factory, which draws inspiration from a traditional Italian salumeria. His products include lamb prosciutto, mole salami, and lardo. Nutty walnut oil is a nice alternative to olive oil: Add a few spoonfuls to take pasta, vegetables, or even cookies to the next level. Truffle oil — usually made with chemicals — is a big food-lover no-no. But this company makes its oil using only real truffles — no additives. The truffles are harvested by a dog named Xylo, who is trained to find the precious ingredients at their peak maturity levels. Best pet ever.